I undertake all of my processing in PixInsight (PI). I am not 'anti-PhotoShop' and I know many great imagers use it for the processing, often in combination with other packages. Personally I find PI suits my working style; as a computer scientist by training I like repeatable processes that I can analyse, refine and re-use in the future, and PI allows me to do this. 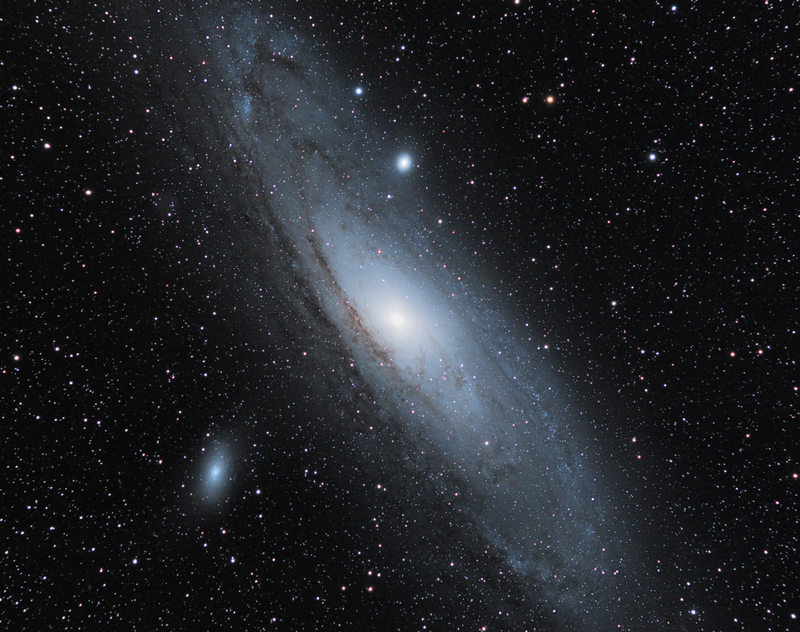 It does have a steep learning curve, but having spent about 300 hours using it over the past two years, including 200 hours of painstaking testing and learning on my Markarian's Chain image, I think I have started to get to grips with it. Strictly speaking, Bias is a fixed amount of voltage that is added to each pixel's electron well in the camera sensor just prior to the start of an exposure. In earlier generations of CCD cameras, it was necessary to manually subtract this bias voltage from the image using a bias frame. Images from modern cameras (especially the CMOS sensors used in DSLRs) do not contain a bias voltage. Instead a correlated double sampling process is used. 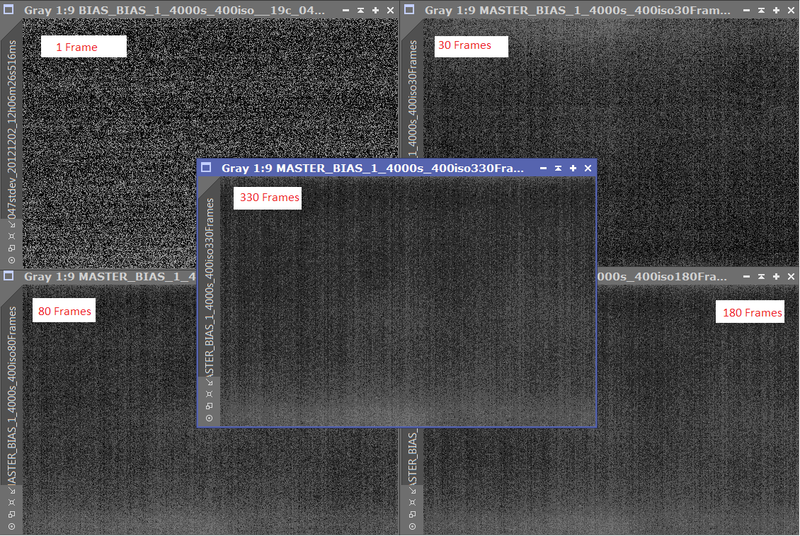 Nonetheless, the camera electronics can add a significant amount of fixed pattern noise to an image. It is possible to remove this fixed pattern by following the traditional bias frame subtraction process. The term 'bias subtraction' is still in common usage and I will continue to use it even though it is not technically accurate for DSLR cameras. Making a single bias frame is pretty easy. One simply covers the camera (as if taking a dark frame) and shoots the shortest possible exposure the camera will allow. In the case of my Canon EOS 500D, that is 1/4000th of a second. I always set the camera ISO to the same value as I use to shoot my light frames (usually ISO 400); I don't know if it really matters but I can't see any reason to use a different ISO and risk any variation in the fixed pattern noise that we are trying to capture. One bias frame is not really sufficient as it will be pretty much random noise and not really representative of the fixed pattern noise we want to subtract when calibrating our images. 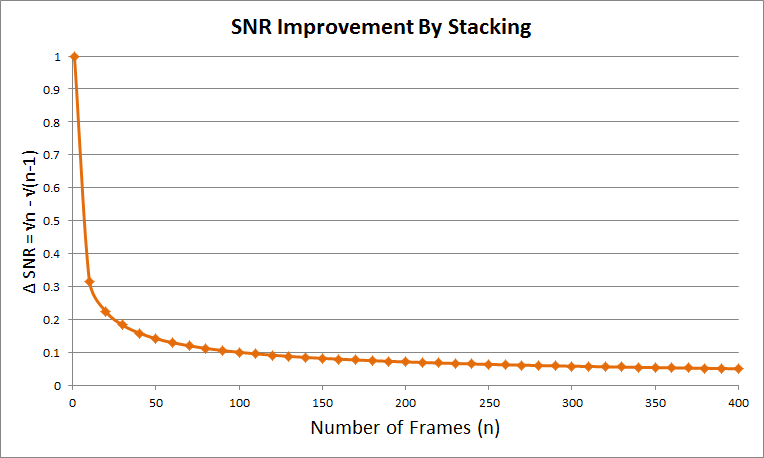 The answer is to shoot a bunch of bias frames and stack (integrate) them to make a master bias frame. The random noise should increase as the square root of the signal. in this case the "signal" is the the fixed pattern noise (it may seems odd to think of noise as signal but since it is a fixed pattern it builds up in the same way as a signal rather than random noise). The question is how many bias frames are enough? I know many people shoot 20 or 30 bias frames, but this really isn't sufficient. 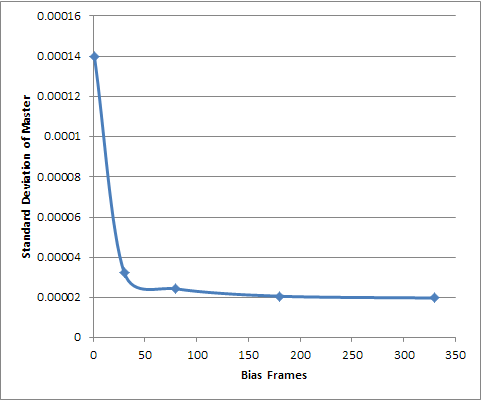 What I did was shoot and integrate different numbers of bias frames to figure out how many I really needed for my camera. So how many bias frames is enough? The solution is to resort to statistics (not the kind used by politicians, real sciency-type statistics!) 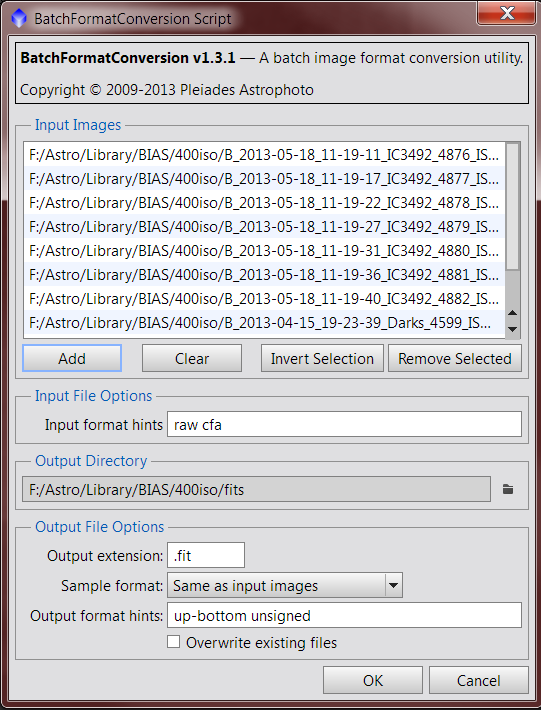 I simply ran the PixInsight Statistics process, and selected the image that I was interested in. The figure we want is the 'Standard Deviation' which is a reasonably good indicator of how much random noise there is in an image (there are better ones, as we'll see later). I just measured the standard deviation of each of the master bias frames and plotted them on a scatter graph in Excel (other spreadsheets are available). As you can see the standard deviation reduces markedly when we go from one bias frame to a stack of 30 frames. After that there is an improvement up to somewhere in the region of 160-180 bias frames, and not much after that. This is what mathematicians would call an 'asymptote', which means that the Signal to Noise Raito (SNR) will continue to improve with more frames, but by ever decreasing amounts making it practically pointless to continue too far. This ties in nicely with the visual images above, in that we can see the pattern developing early on, but as we add more and more frames, it becomes very hard to see any improvement. It doesn't take long to make a bigger bias. I estimate it would take me about two hours to create a master bias of 50 frames, but only two and half hours to create a 300 frame master. The main tip here is to follow the settings I have shown above but to adjust the 'Buffer Size' and 'Stack Size' values to match your PC's memory constraints. I went for a 4MB buffer and 2GB Stack size after a bit of trial and error. These are smaller than the PI defaults and worked okay for me (the point is not to go for really big values otherwise you will end up swapping memory to disk eventually and the system will grind to a halt). I should probably have selected 'Close previous images' as well but didn't need to with these settings.